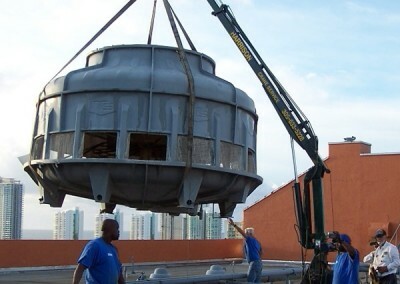 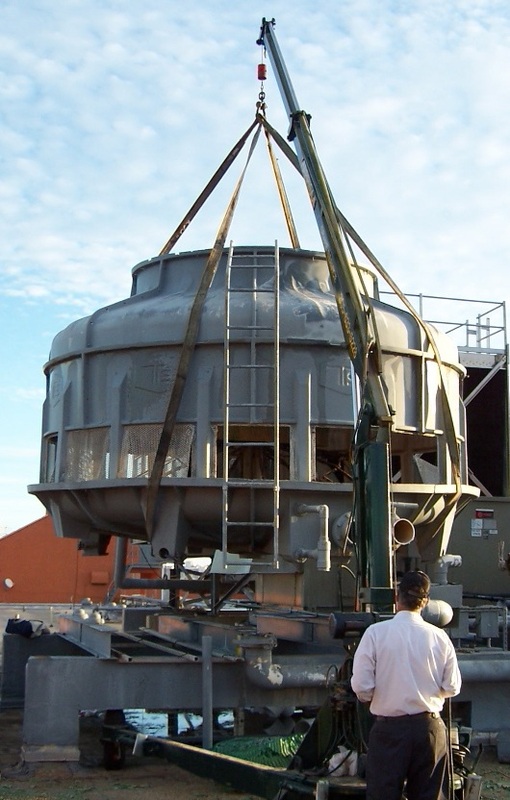 Rooftop A/C Work — the SR4000 can be hoisted onto a rooftop where it can be rolled, while carrying units, across the roof to where the units need to be set. 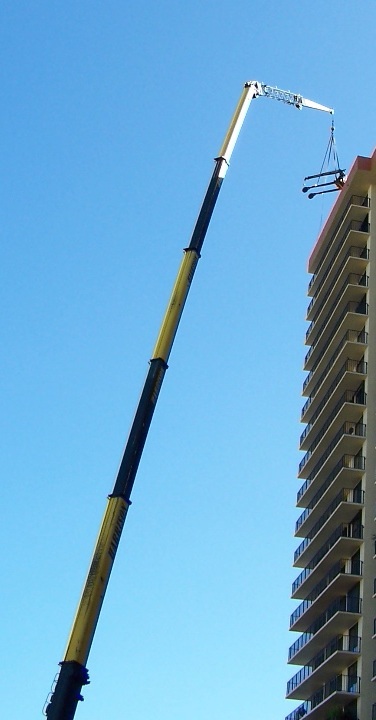 Perfect for long reach situations that would otherwise take a much larger, more expensive mobile crane. 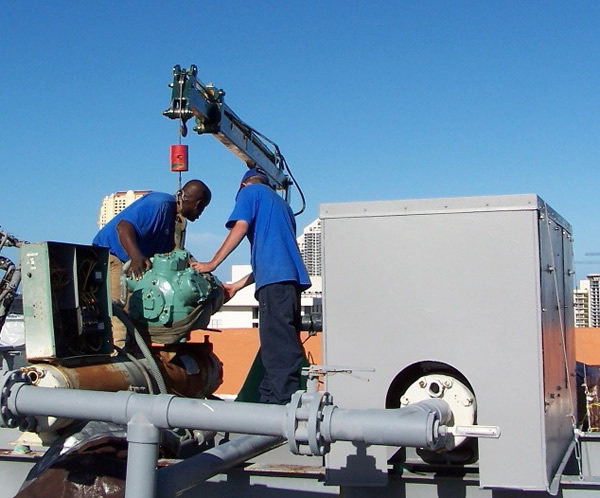 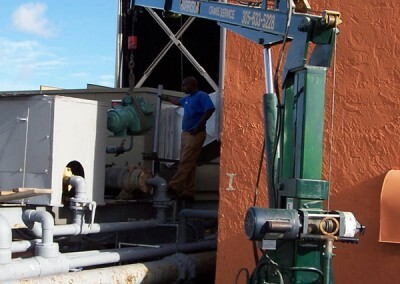 The SR4000 is also ideally suited for compressor change outs. 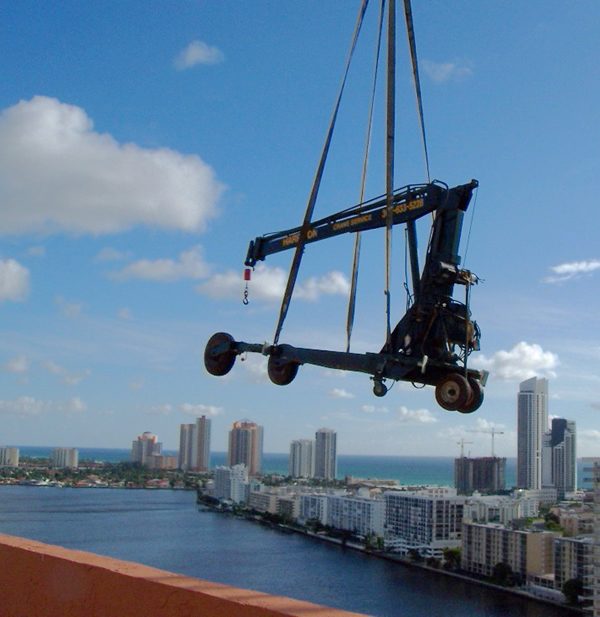 Rooftop Elevator Work — the 4000 pound capacity of the SR4000 allows it to pull and place heavy elevator motors and equipment from and into elevator equipment rooms. 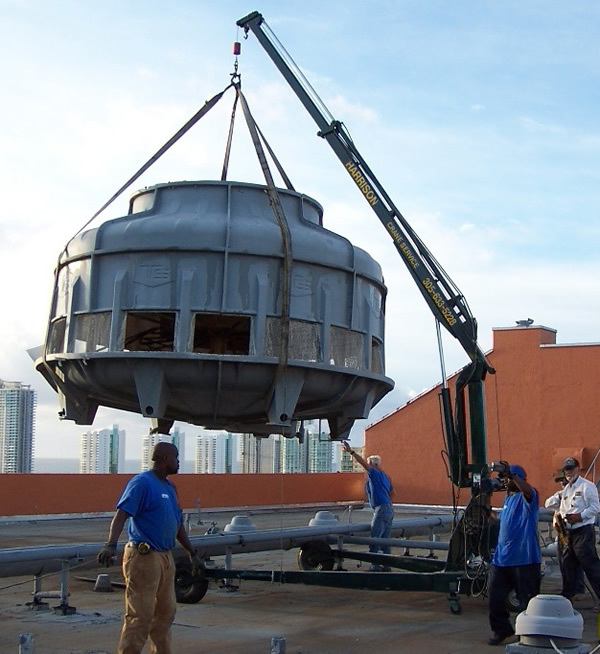 Work on Parking Garages, Pool Decks, and Courtyards — the light weight of the SR4000 (2000lbs) allows it to be placed on top of pool decks and parking garages or inside courtyards that would otherwise be inaccessible to larger, heavier cranes. 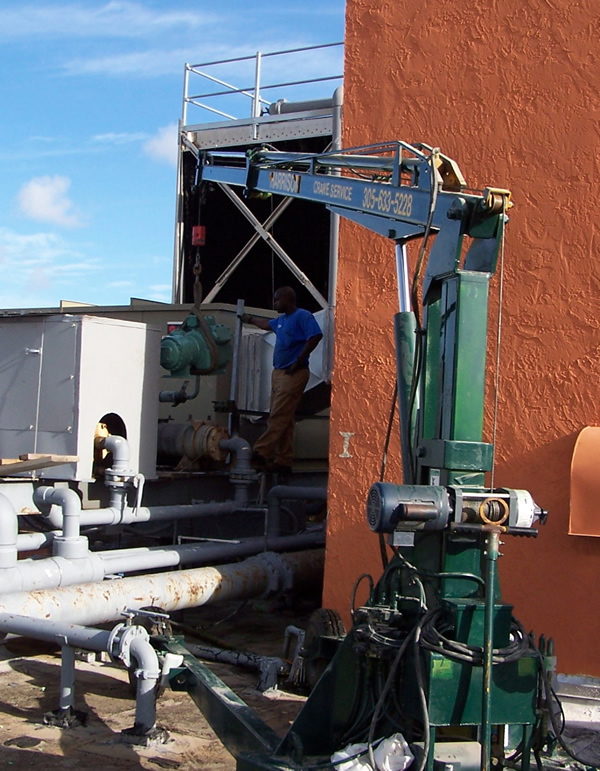 Industrial Applications — the SR4000 is perfect for work inside factories and warehouses. 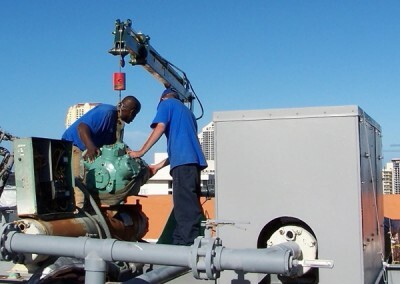 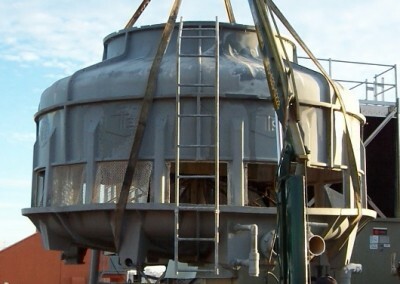 Applications include setting machine tools, pulling motors, facilities maintenance, etc.